GREAT OPPORTUNITY IN BROADWAY ESTATES!!! THIS HOUSE NEEDS IT ALL AS THE INTERIOR IS ALL ORIGINAL AND NEEDS UPDATING. BONES ARE IN GREAT SHAPE AS THE OWNER POPPED THE TOP AND PUT A HUGE ADDITION ON THE BACK GIVING IT 2970 SF ABOVE GRADE. WITH 4 BEDROOMS AND 3 BATHROOM THIS PROPERTY HAS PLENTY OF ROOM TO SPREAD OUT. 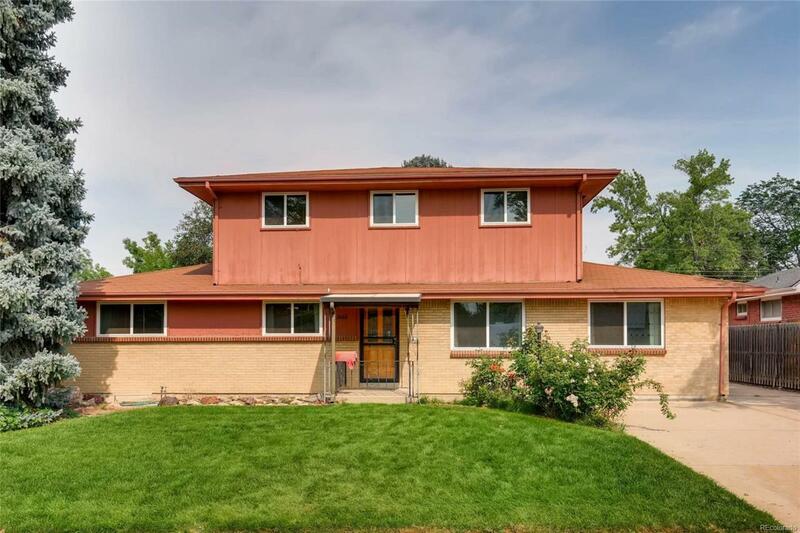 ITS ALL ABOUT LOCATION WITH THIS PROPERTY AS SOUTHGLENN IS JUST MINUTES AWAY AND SO IS DOWNTOWN LITTLETON. PART OF THE LITTLETON SCHOOL DISTRICT THIS IS A GREAT OPPORTUNITY FOR SOMEONE THAT WAN'T SOME SWEAT EQUITY AND HAS A VISION FOR WHAT THIS GEM CAN BE. PROPERTY HAS A FULL BASEMENT THAT IS 80% FINISHED WITH 2 OTHER ROOMS THAT COULD BE NON CONFORMING BEDROOMS IF NEEDED. HUGE FAMILY ROOM DOWNSTAIRS WITH UTILITY ROOM WHERE THE WASHER AND DRYER ARE LOCATED. LARGE ADDITION OFF THE KITCHEN WHICH IS HEATED AND HAS A GAS FIREPLACE. TRULY A MUST SEE AS THIS IS A DIAMOND IN THE ROUGH THAT YOUR LOOKING FOR. CALL TODAY TO SET YOUR PRIVATE SHOWING.